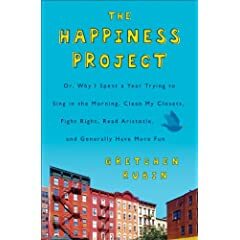 Want to start your 2010 with a goal of working on being happier in life? Join the Toward A Year of Happiness Challenge here! While you wait for it to start, watch her one-minute video, The Years Are Short. Especially if you have kids. We tried the kit last year after much begging from the children. The icing in the kit turned out way to dry and not so sticky. I ended up making my own icing. I still couldn’t keep it from falling apart, so instead of hearing my kids cry over the lack of the gingerbread house – I hot glued it!! That’s one way to keep from eating the candy!